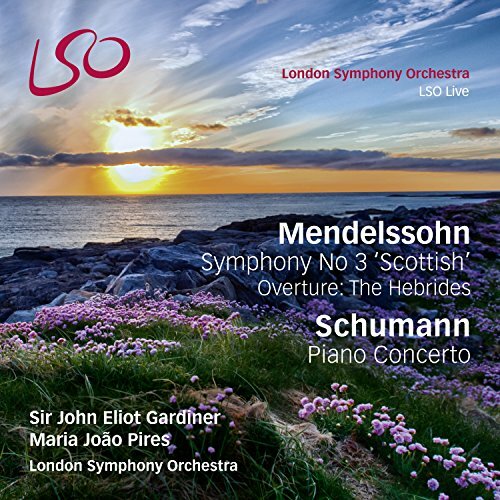 LSO Live presents the first release in a new Mendelssohn symphony cycle featuring Sir John Eliot Gardiner. Offered in sets containing both SACD and audio/video Blu-ray discs, Gardiner's interpretations can be seen and heard to full effect. Mendelssohn's Symphony No.3 and Hebrides Overture were both inspired by his travels to the British Isles, and are among the composer's most popular works. Also featured on this release is the Portuguese pianist Maria Joao Pires performing Schumann's Piano Concerto.